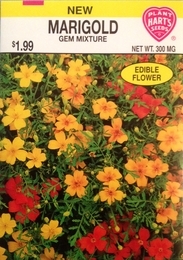 A mixture of the edible Marigolds - lemon gem, orange gem, and red gem. Each lacy mound is covered with petite half inch single flowers with a citrusy scent. 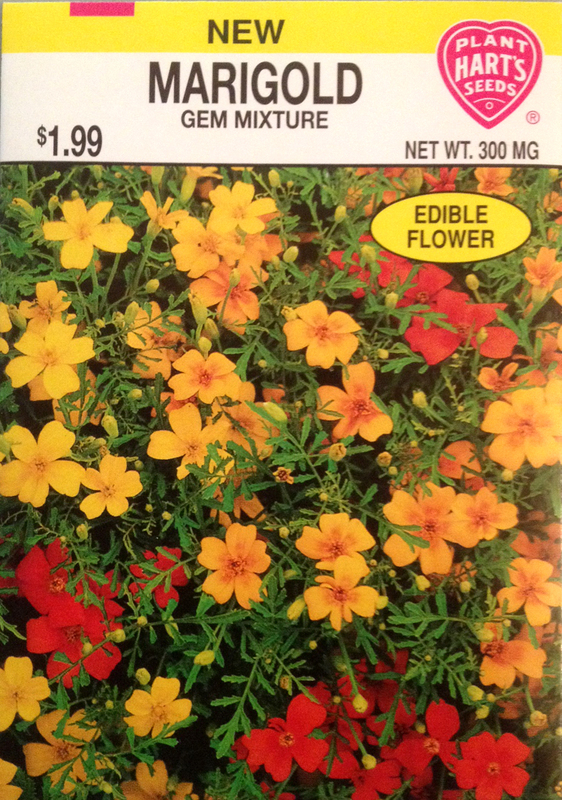 Great for containers or in the garden, also called signet marigolds, they are drought and deer resistant. Planting time - Start indoors 4 weeks before last frost date.